CSC Kenya Team 8: It's been 3 months since we departed from Nairobi. It's been 3 months since we departed from Nairobi. It is about 3 months since my return from Kenya, CSC is not just a one month assignment where individuals like my team from 12 different countries meet and complete our assignments and…end of story. We established sincere friendships, in our context, global sincere friendships. Since the day I bid farewell one by one to our team, I was wondering when we will meet again. 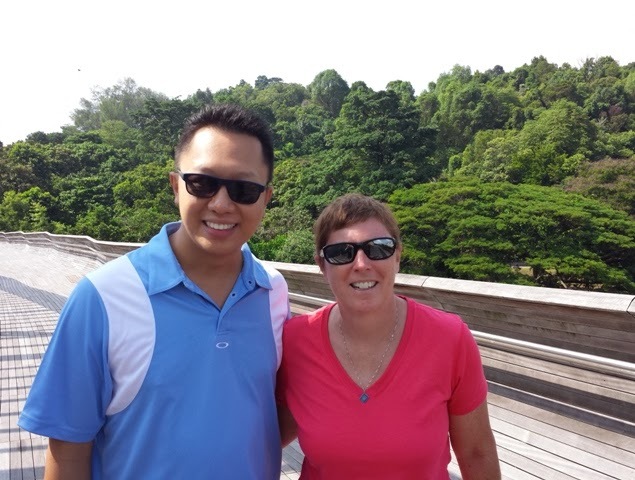 Today, I am fortunate to meet Jackie who is here in Singapore for an IBM’s event. It is a bonus that Jackie invited another IBMer along. 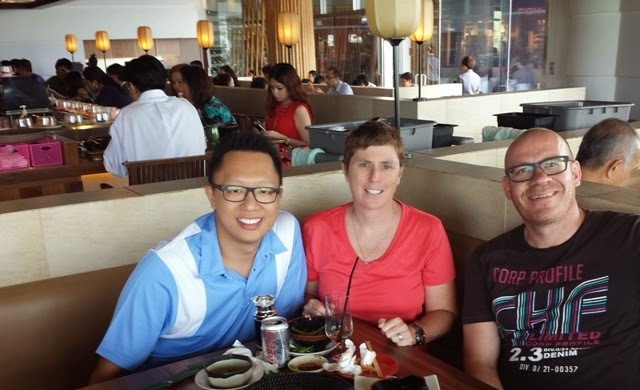 He is Jack from IBM Netherlands on his first time to Singapore. 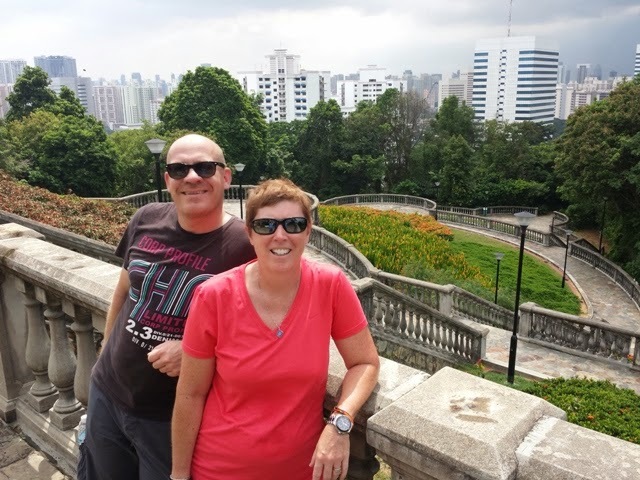 With jet lag setting in for Jackie and minimal hours of sleep last night, we started trekking from Henderson Waves to Mount Faber Park and Telok Blangah Hill Park. 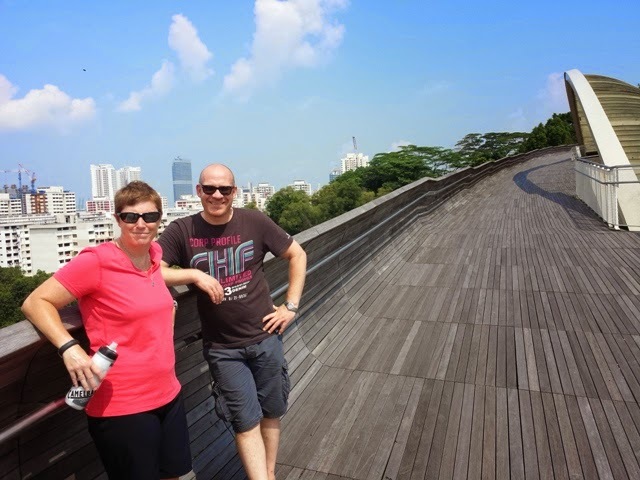 The weather in Singapore is hot, sunny and humid. If you take closer look, you can see the weather changes within minutes with thunder clouds on the photo above. Food - Something that cannot be missed. We had Japanese lunch at Sushi Tei with "Salmon Mentai" being the most delicious. 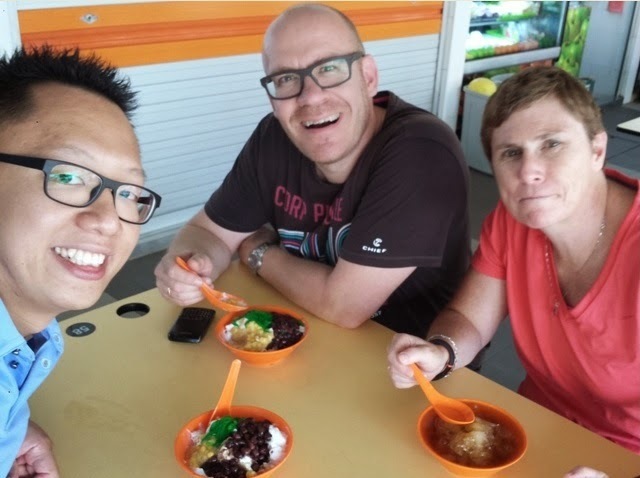 We went for local desert at Bukit Merah View Hawker Centre. Jackie had "Cheng Teng" while Jack and myself had "Chendol". Looks like good fun! Wish that we call could have been there.